Chikanobu. Modernity and Nostalgia in Japanese Prints is the first monograph in English on the Meiji print artist Yoshu Chikanobu (1838-1912), well known for his depictions of women and scenes of Japanese history and legends. 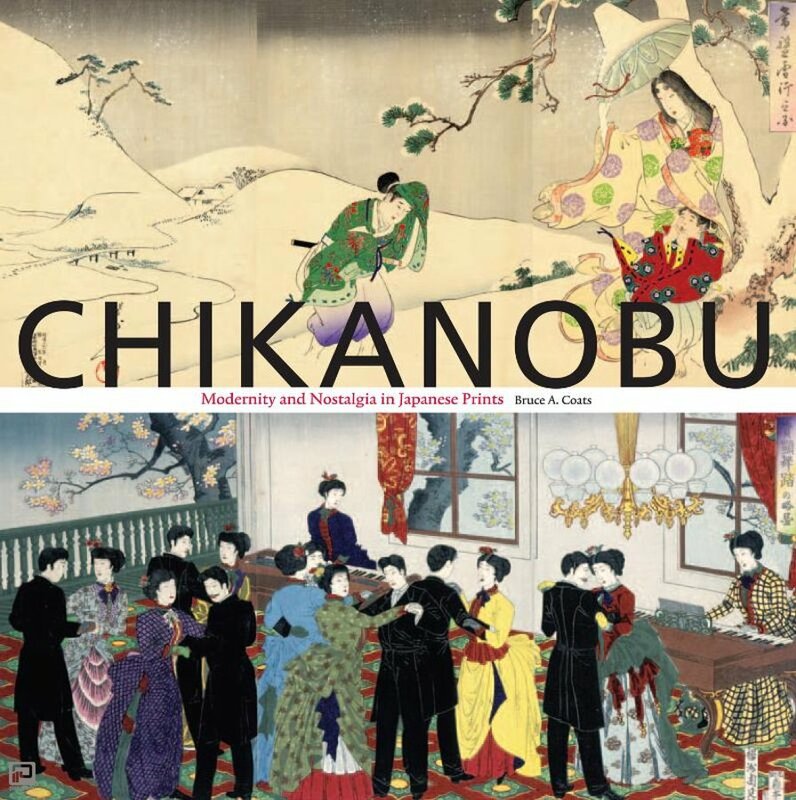 Author Bruce A. Coats presents a detailed overview of Chikanobus life and works, placed within the historical and artistic context of Meiji Japan, when its rapid modernization and westernization created an interest for old Japan among the Japanese and when the arts underwent significant changes as well. Essays by Bruce A. Coats, Allen Hockley, Kyoko Kurita and Joshua Mostow draw upon various topics related to Chikanobus work, such as Meiji literature and the heroic ethos in the late Meiji period. Works donated to the Scripps College collection form the core of the illustrative material. The images are accompanied by elaborate descriptions and in a number of cases compared with similar designs from other artists. Two of Chikanobus well known series of 50 prints each, Snow, Moon, Flowers (Setsugekka) and Eastern Brocades: Day and Night Compared (Azuma nishiki chuya kurabe) are illustrated in their entirety. And with over 270 full color illustrations, Chikanobu. Modernity and Nostalgia in Japanese Prints truly displays the richness of the intense Meiji print palette.